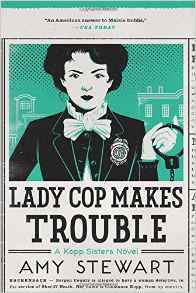 Pulp Hack Confessions: Crooks, Guns and a Tough Woman with a Badge – All Based on Historical Fact! Crooks, Guns and a Tough Woman with a Badge – All Based on Historical Fact! Constance Kopp is one of those fictional characters that most crime authors would gladly give an arm or leg to have in their portfolio: she’s big (6 feet and 180 pounds), tough, shoots straight and has little fear of evil men. She chases criminals through the byways of New Jersey and the streets of New York City at the turn of the Twentieth Century, gets into physical struggles with suspects she is trying to arrest and does real detective work, knocking on doors, talking to strangers, meeting with dangerous characters after nightfall. She’s a deputy sheriff with handcuffs, a revolver and full arrest powers – something most U.S. women didn’t achieve until the 1970s. However, Constance is not just a fictional character. Kopp and her sisters, Flora and Fleurette, were real people who lived in the town of Paterson, New Jersey in the early 1900s. 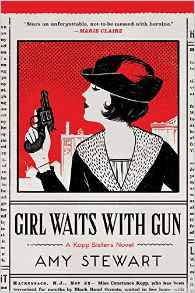 Author Amy Stewart has taken the bones of their story, embellished them slightly and used them to fashion two entertainingly gripping books that bring the sisters to life for modern audiences: Girl Waits with Gun and Lady Cop Makes Trouble. 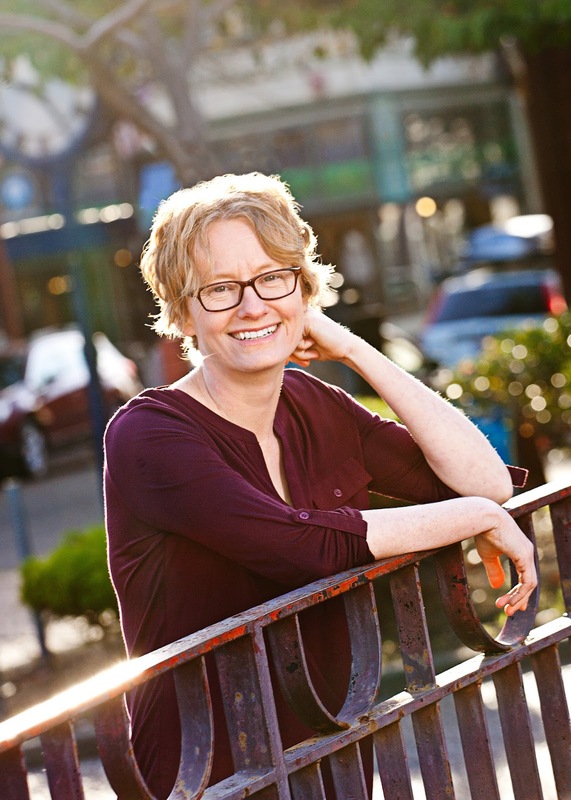 Until last year, Stewart was either best known for her Eureka Bookstore or her non-fiction books zeroing in on subjects of a botanical nature: Wicked Plants: The Weed that Killed Lincoln’s Mother; Wicked Bugs: the Louse that Conquered Napoleon’s Army; Flower Confidential: The Good the Bad and the Beautiful in the Business of Flowers and others. In fact, Stewart first came across the remarkable Kopp sisters while conducting research on The Drunken Botanist, a non-fiction book about plants that can be used to make alcohol. During a recent visit to Mrs. Dalloway’s bookstore in Berkeley, Stewart said she was researching illicit liquor manufacturers when she ran across an old newspaper story about Henry Kaufman, a gin bootlegger during prohibition who was a member of a Paterson family deeply involved in the silk dyeing industry. It seems that a man with the same name driving a newfangled automobile crashed into the Kopp sisters’ horse-drawn buggy in Paterson, then refused to pay for the damage he had caused. The dispute expanded until the Kopp women had been threatened with arson and abduction, their windows had been smashed out with bricks, and they were forced to dodge bullets fired by Kaufman’s criminal goons. Constance came to the fore in this struggle, acting as bodyguard for her older sister Flora and the youthful Fleurette. She also became a key investigator for the Bergen County Sheriff Robert Heath, a progressive lawman, who dispatched her at one point for a liaison with a member of Kaufman's gang. She and Flora were temporarily deputized and issued revolvers by Heath. As she investigated Kaufman and his associates, she gained the sheriff’s trust and admiration, learned an immense amount about pursuing criminals and managed to help put together a case that led to Kaufman’s indictment and punishment for his crimes. Her exploits and nerve also earned her a permanent position as one of Heath's crime busters. And all of this fast and furious action occurs in just the first of the two novels! Both books are written in the first person from Constance’s point of view. There is plenty of interplay between her and her sisters, however, much of it revolving around a family secret that is revealed to the reader in the first novel and colors all the subsequent action. Stewart has done the remarkable in these two novels: used historical records, news clippings and interviews with family members to fill out what began as the sketchiest portrait of the Kopps. I have written historical thrillers myself – an intrigue-ridden Gold Rush era shoot-‘em-up, Tamer, and a private detective yarn set just after World War Two, The Jade Bone Jar – so I know how much research and hard work it takes to get the period details right, generate believable dialog and create characters who are not anachronistic. Stewart has pulled it off nicely. Her sisters sound like real sisters, her crooks and bystanders are authentic and her books – while not exactly whodunits – are loaded to the brim with wicked twists that will leave the reader stunned. She has managed to recreate the streets of suburban New Jersey at a time when they turned into cart paths in rural farm land (Jen Conley: take note!) and her turn of the century New York rewards readers with a genuine sense of place and time. Aside from the work of a few masters like Ed McBain or Collin Wilcox, I am not a big reader of police procedurals. But the investigations Constance Kopp conducts are remarkable, particularly considering that many lawmen in the early 1900s were as crooked as the Passaic River while even the honest ones were inclined to solve crimes through a liberal application of the boot. Kopp is a straight arrow who does things the right way: searching out evidence, talking to witnesses, piecing together clues. She succeeds where most of her colleagues fail because she gets into the head of her prey instead of standing around street corners or waiting at railway stations watching for a malefactor to miraculously appear. Both of these books are keepers. 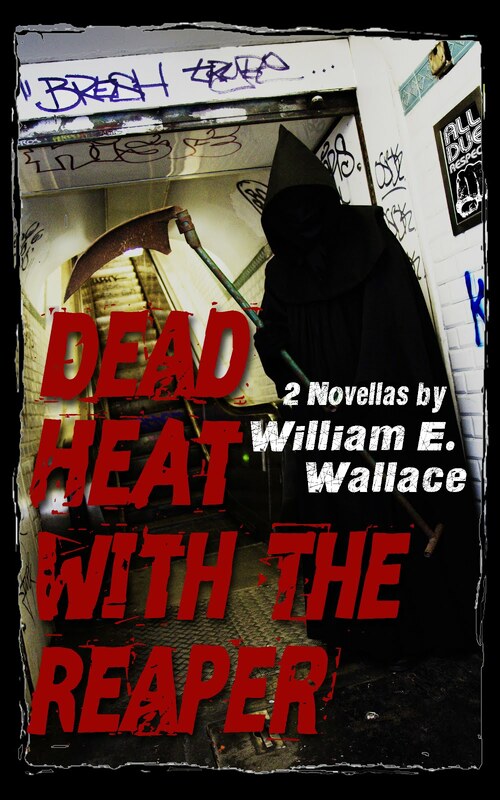 They aren’t the type of hard-boiled crime yarns I usually gravitate toward or write myself though there is plenty of minor mayhem: attempted abductions, child theft, extortion, arson, attempted homicide – and a soupçon of blood spillage. Still, only one murder takes place in either of the two books and it occurs outside the reader’s view. So if you are a hard-boiled or noir reader put your usual inclinations aside and step into the early Twentieth Century world of the Kopp sisters. You’ll be happy you did!